Chris Weidman says he doesn’t have any regrets following his third-round knockout loss to Jacare Souza. Weidman went one-on-one with Souza in the co-main event of UFC 230 last month. The bout took place inside Madison Square Garden in New York City, so Weidman was a heavy crowd favorite. Just like his last trip to MSG, Weidman was stopped in the third and final round. “The All-American” was ahead on the scorecards. Editor’s Note: If you’re going to take this quote for your website, please credit MMANews.com for the transcription. 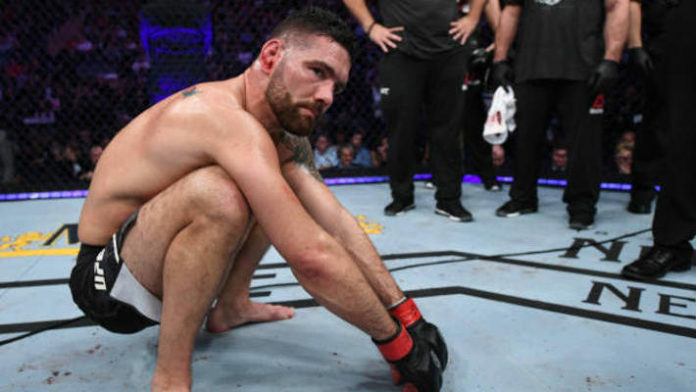 Do you think Chris Weidman’s days as a title contender are over?